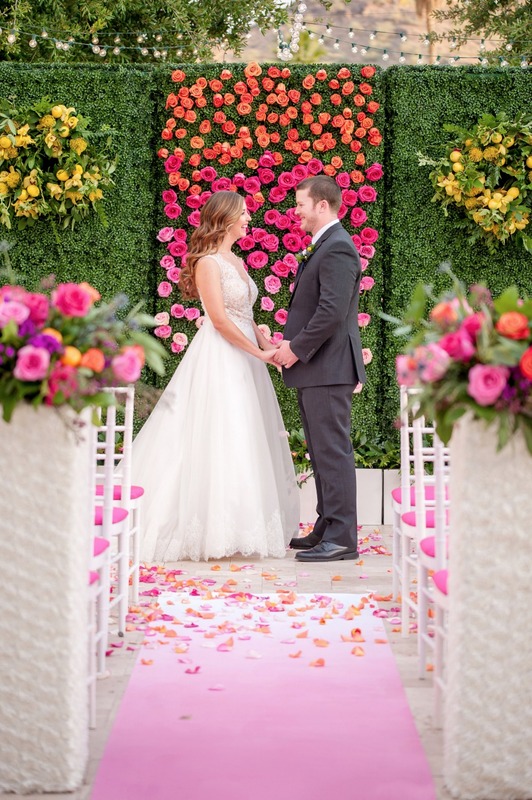 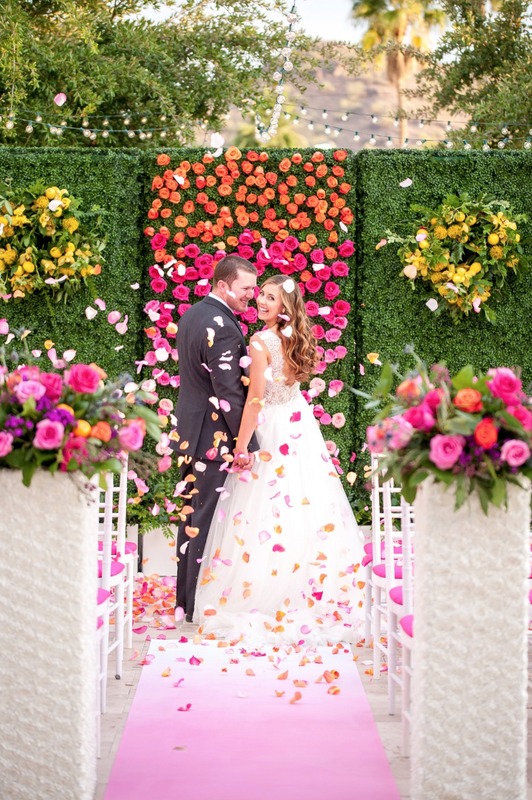 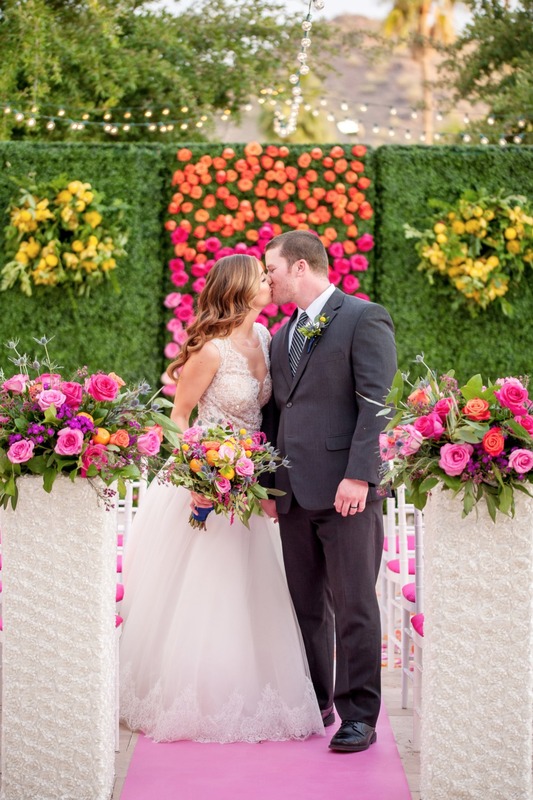 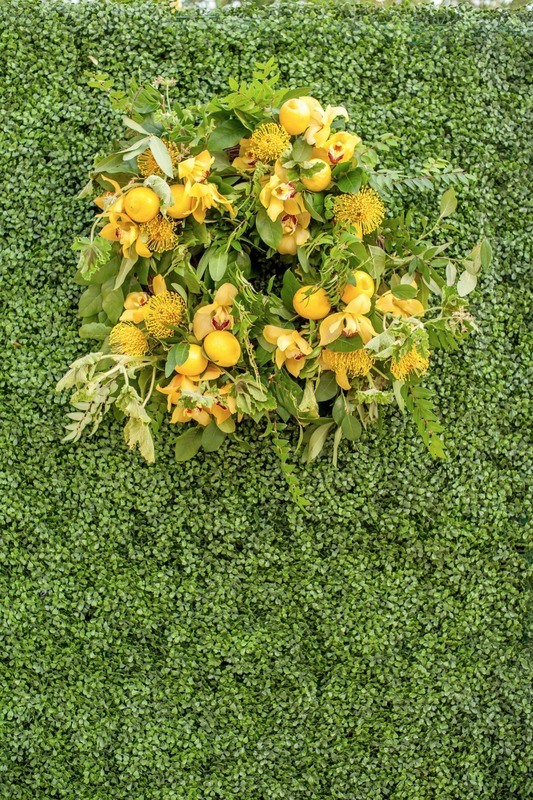 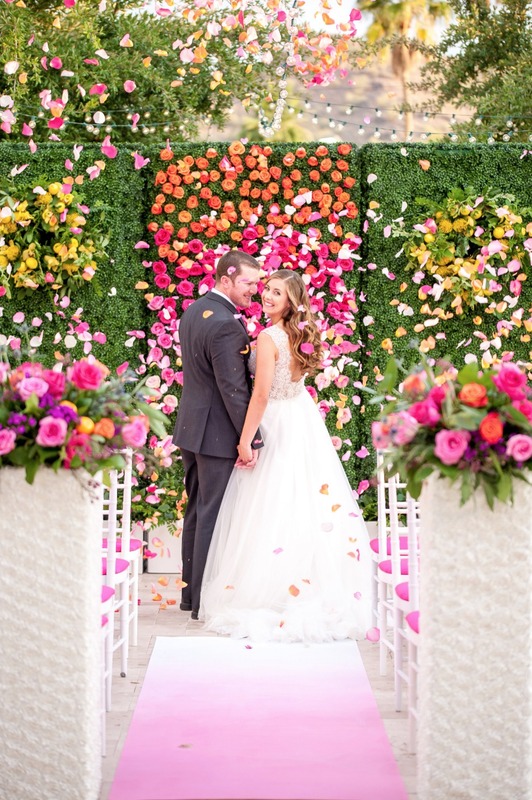 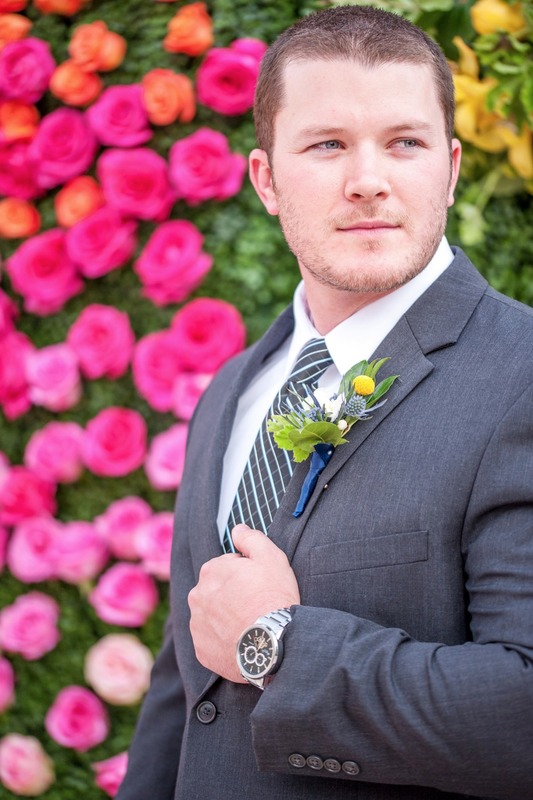 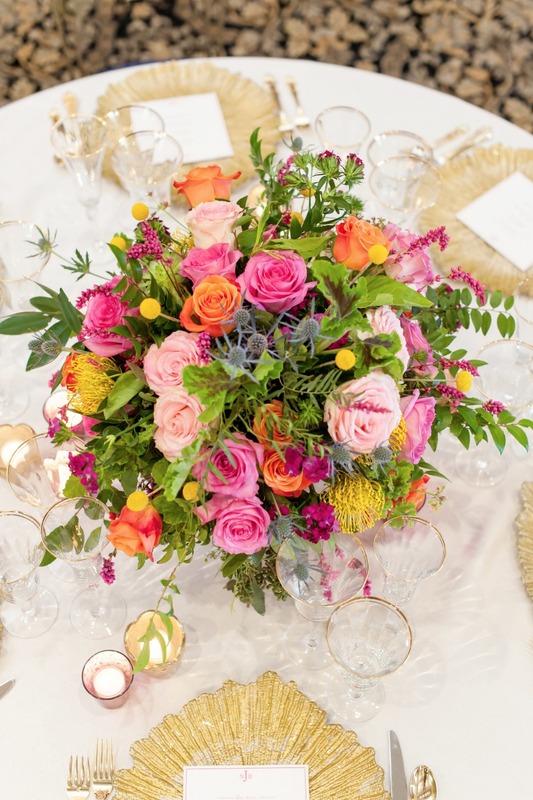 We are in FLOWER WOW over this next gorgeous wedding inspiration from Drew Brashler Photography and Wild Child Floral Design. 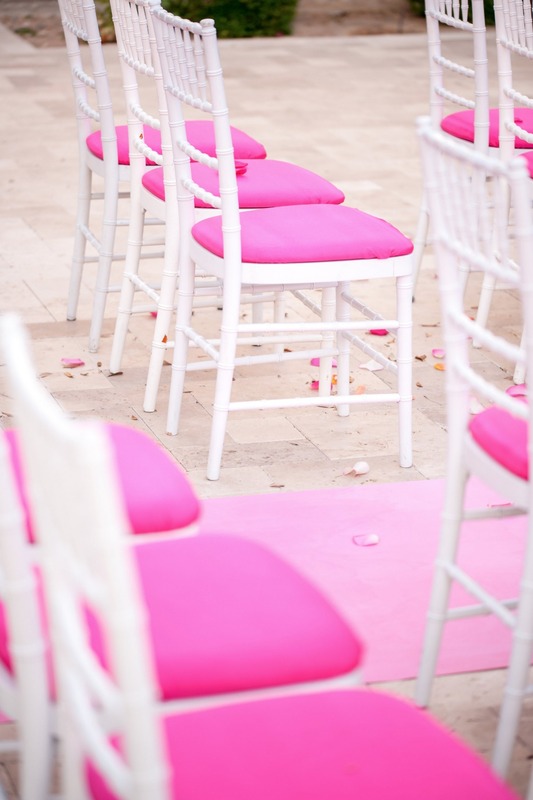 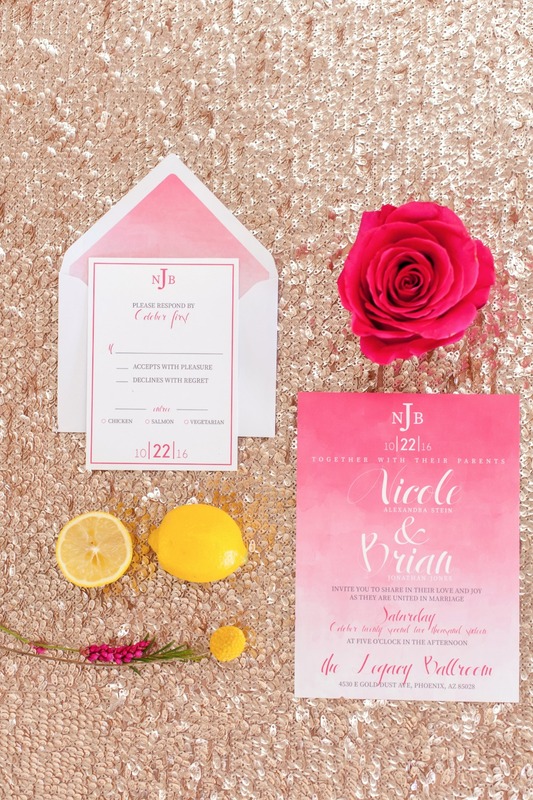 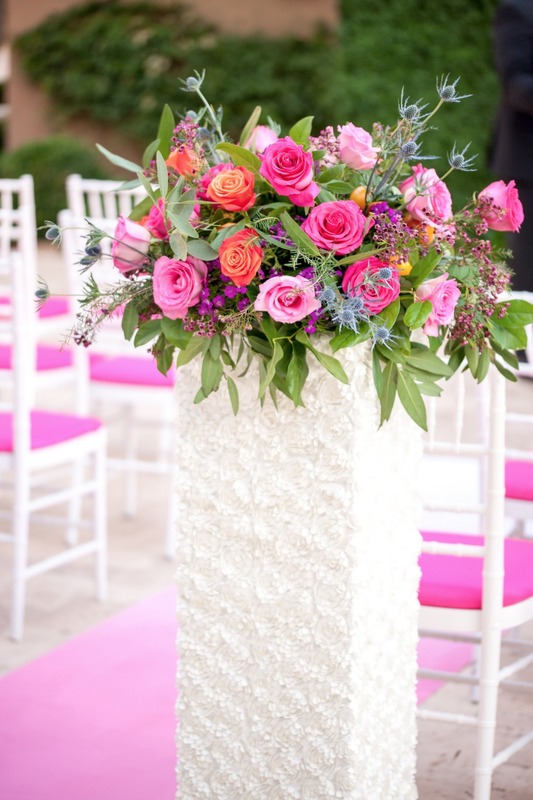 Pink ombré was the inspiration behind the styling, and we think you'll agree they knocked this one out of the park! 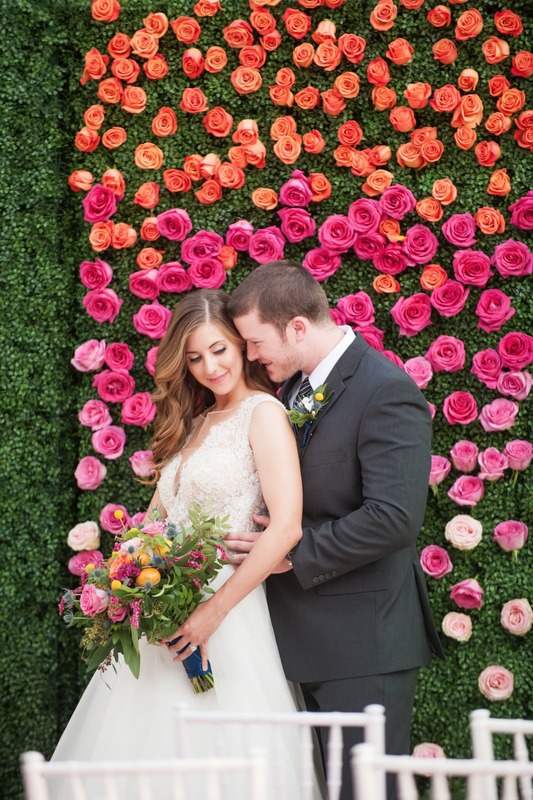 From the ombré rose flower wall, to the stunning water color paper goods from Blush + Paper, you're going to fall head over heels in love with every last detail! 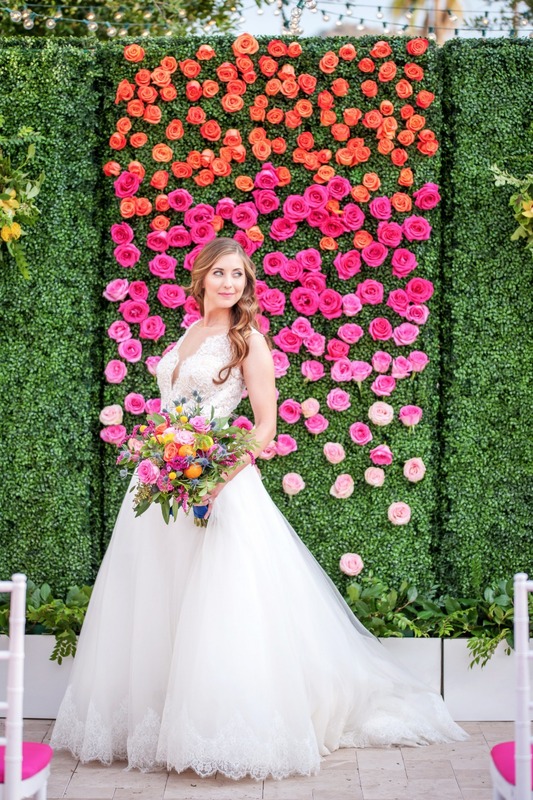 Don't miss the full gallery for more beautiful images, and get ready to pin your heart out. 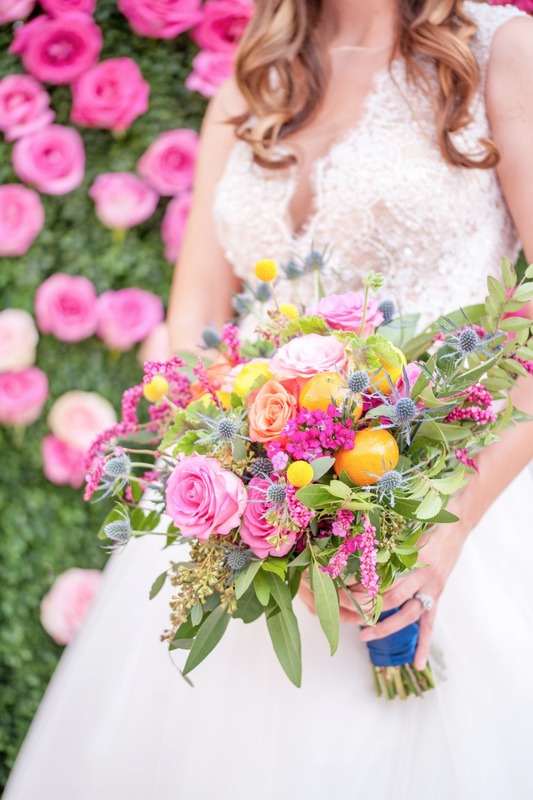 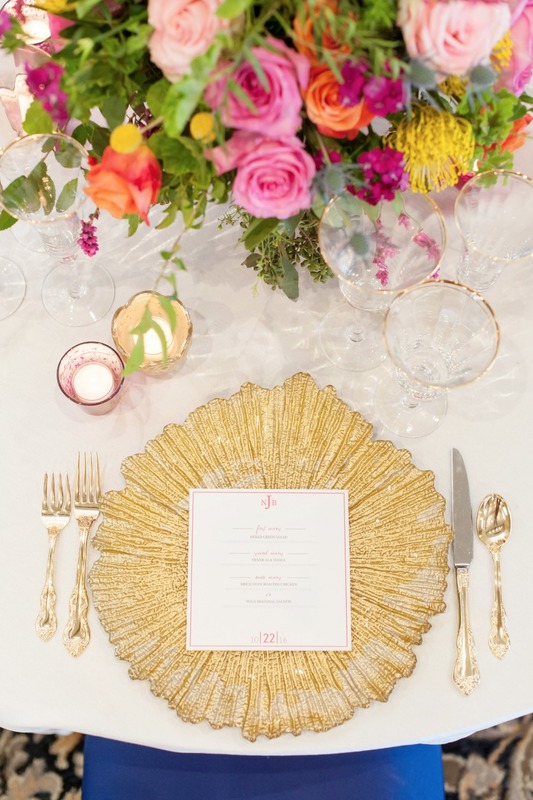 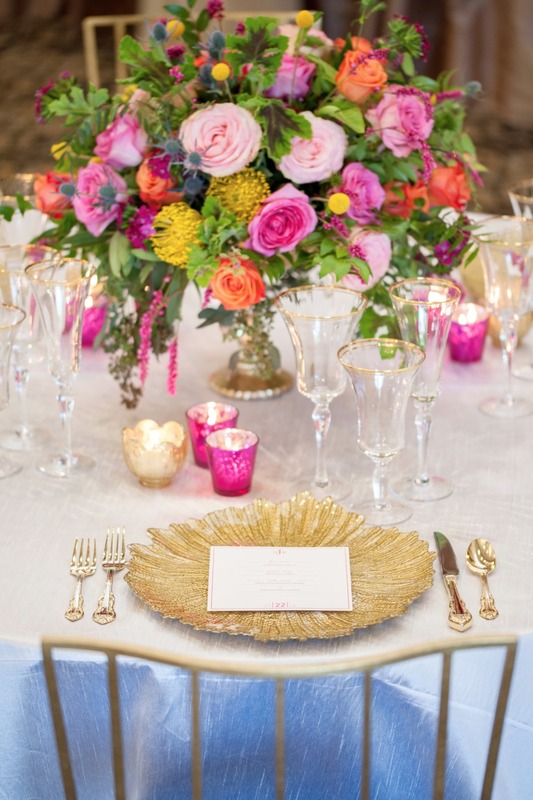 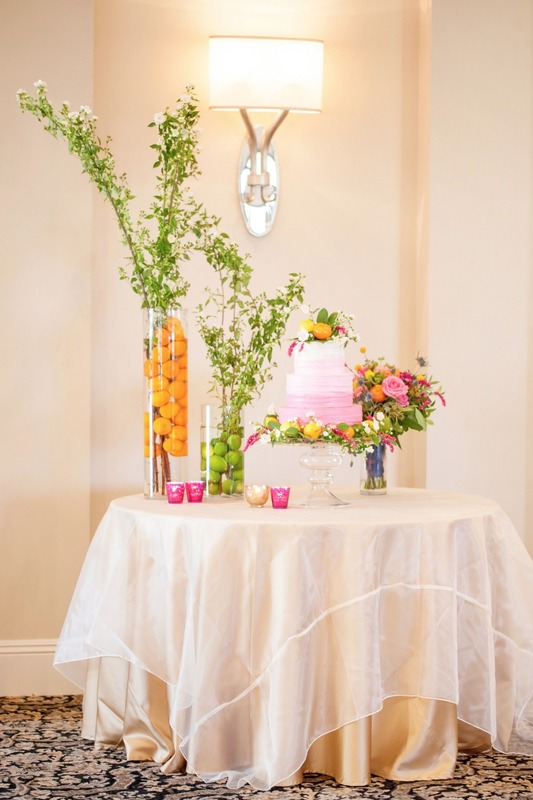 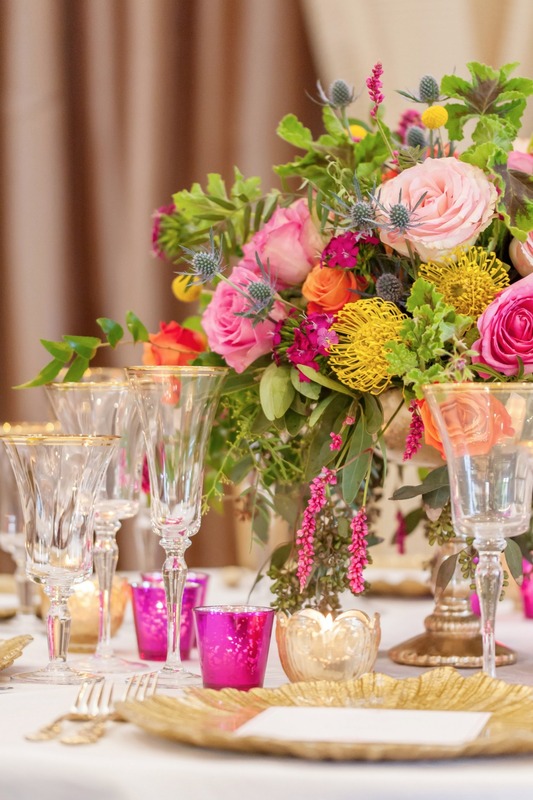 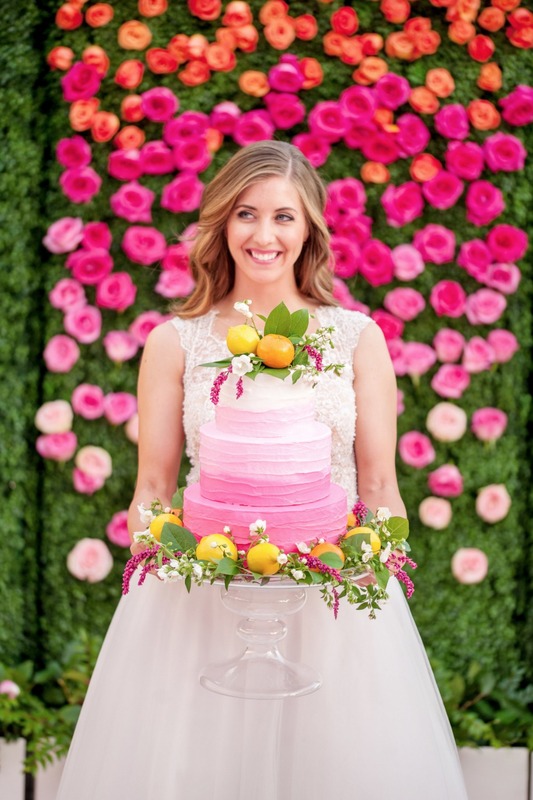 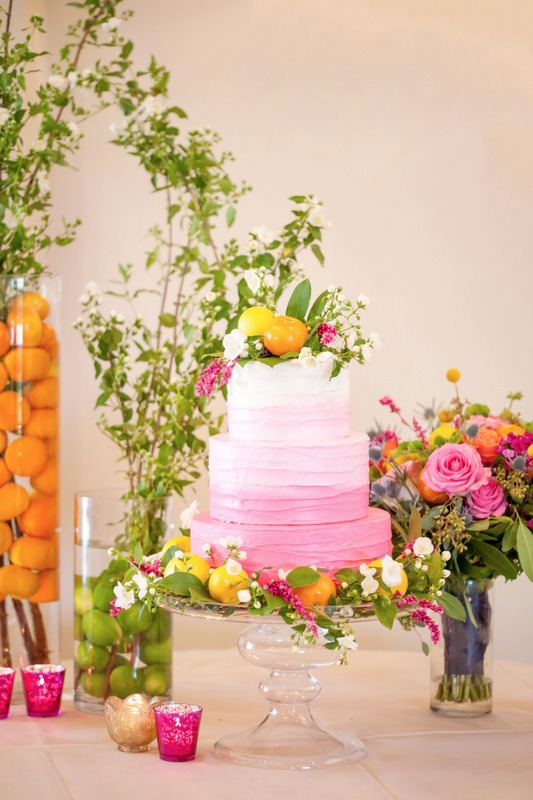 An inspiration for summer weddings incorporating ombré, fresh fruit, and a bright elegance! 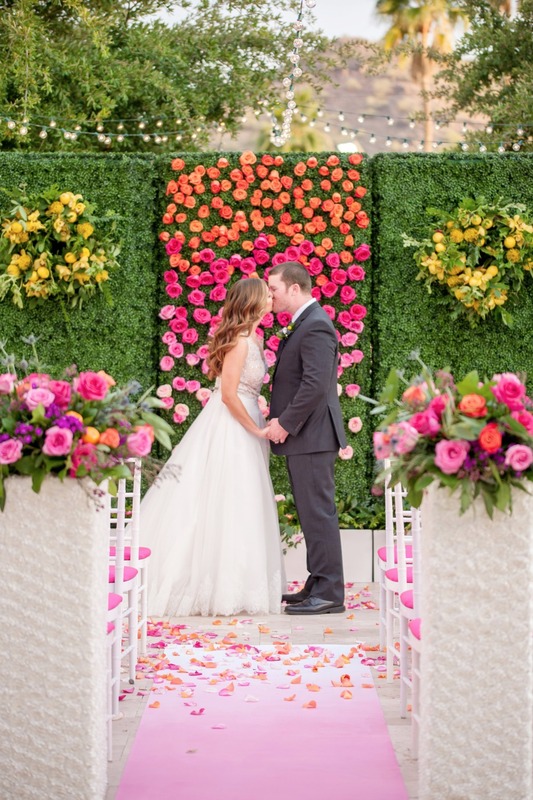 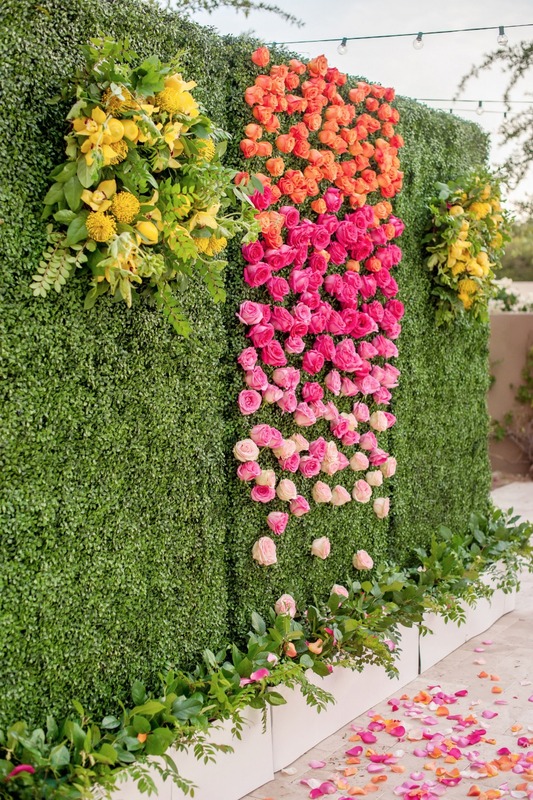 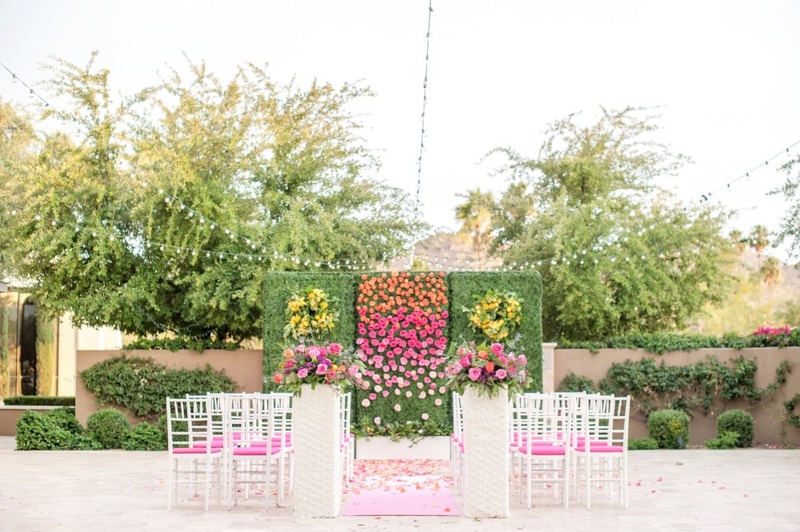 We wanted to create an inspiration for brides and grooms to bring together bright colors in an elegant way to spruce up a summer wedding. 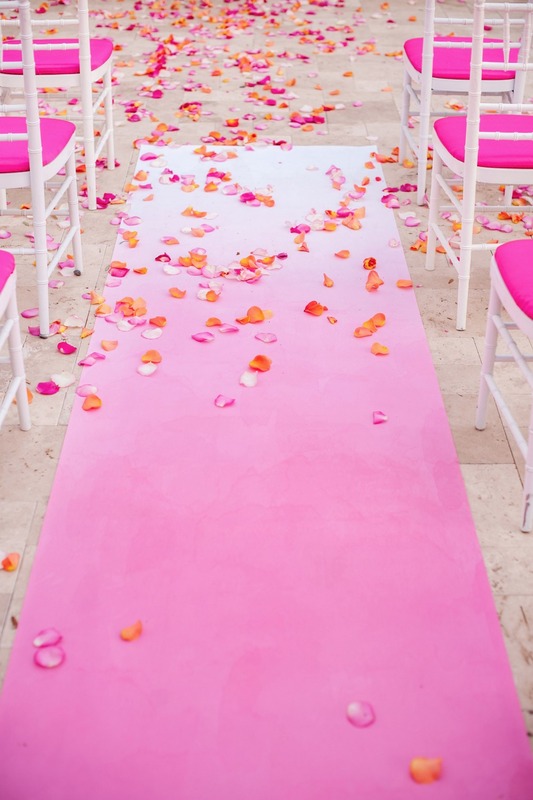 The design was based off of a ombré design which Blush + Paper put together for the invitations and tied that into the ceremony with the matching aisle runner. 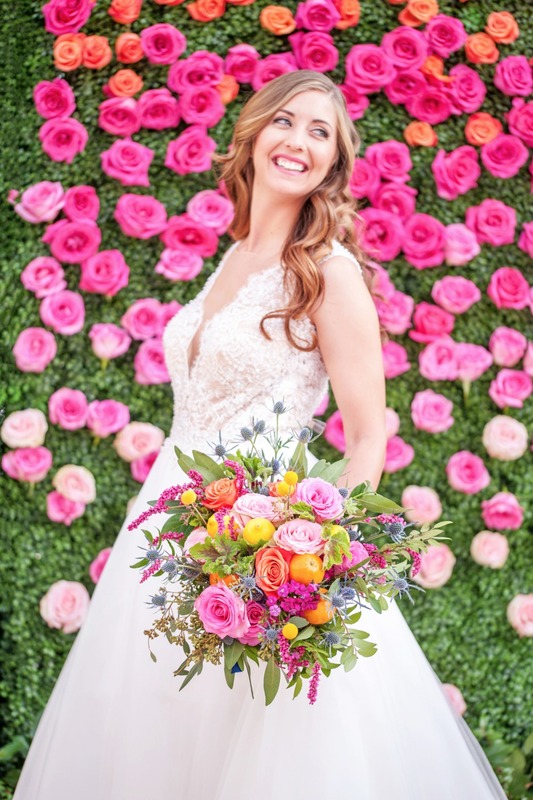 Wild Child Floral Design then took the base colors and expanded on that to create not only a beautiful rose ombré background, but also gorgeous center pieces and a bouquet that tied in all of the bright colors! 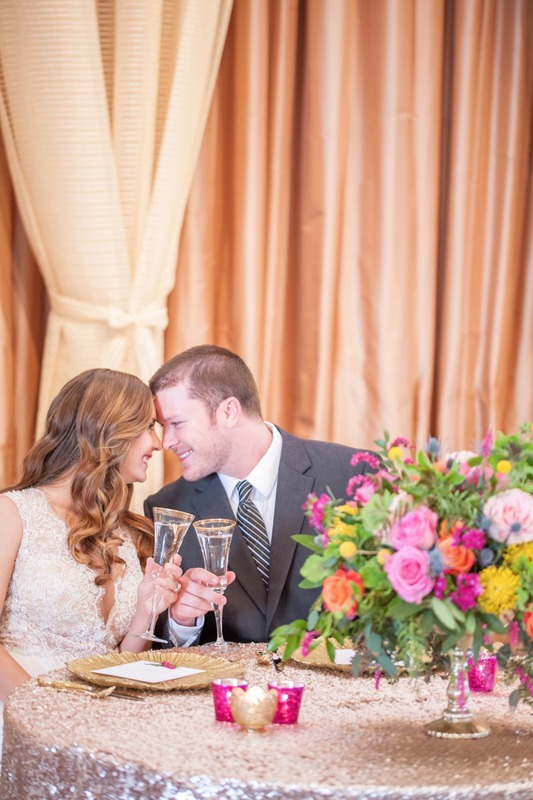 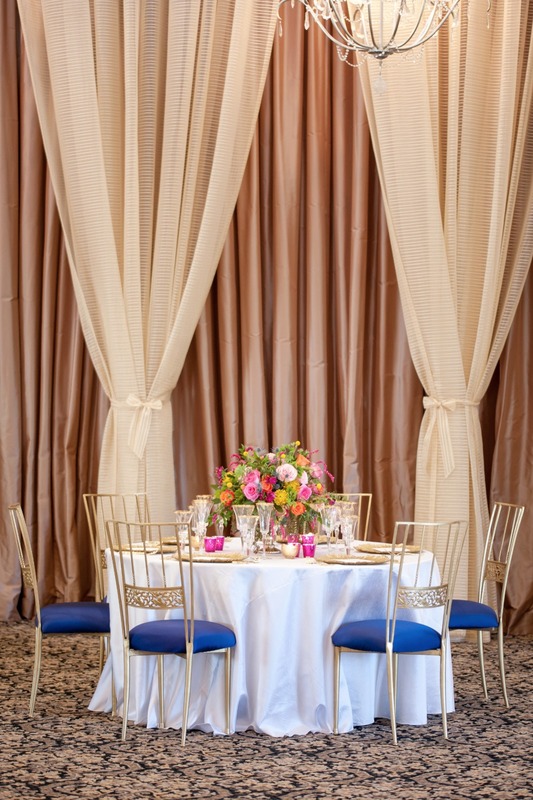 We found that Legacy Ballroom was a perfect venue for the styled shoot because of the elegant stonework for the ceremony area and the romantic ballroom with the floor to ceiling drapery. 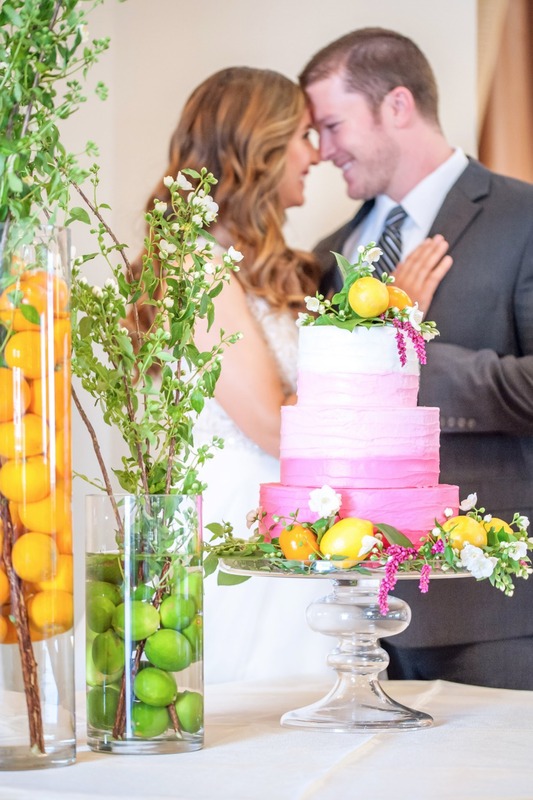 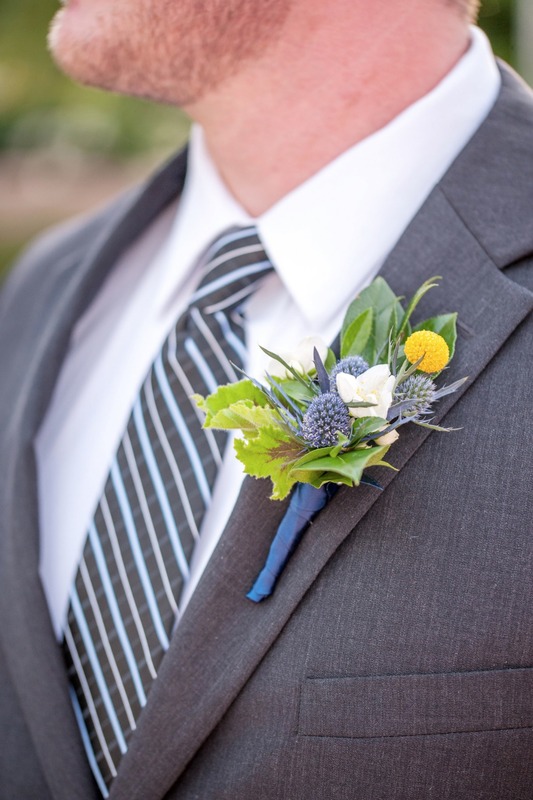 All in all, we were so excited to put this styled shoot together!